Clinstat – Your Data. Our Passion. 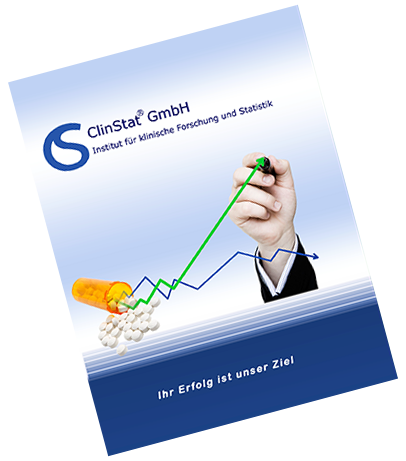 ClinStat is an independent contract research organization (CRO) located in Cologne as headquarter and Berlin, Germany. We act as an integrated partner for pharmaceutical companies, hospital facilities, manufacturers of medicinal products as well as health insurance providers and other medically-oriented institutions. We offer our services in biostatistics, statistical programming, HEOR/market access, data management and medical writing. Our expertise covers inter alia biometrics, psychometrics, epidemiology, health economics, and healtcare research. ClinStat has realized a considerable number of successful studies and we look forward to support your business with our expertise. We provide services for pre-clinical studies, clinical studies of phases I-IV, post-marketing studies and observational studies in pharmaceutical research. As your experienced partner for epidemiological studies, studies in health services research/public health as well as studies concerning health economics, we are competently supporting our customer’s success. For some pharmaceutical companies, we enjoy pre-determined assignments as preferred CRO. 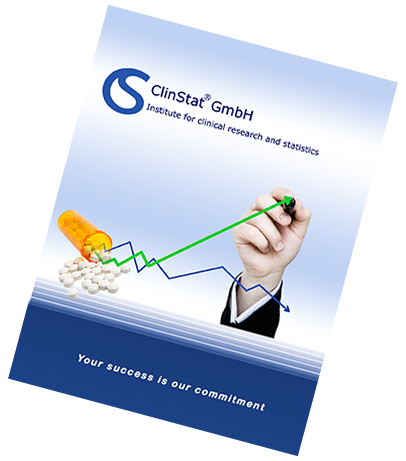 The cornerstone of success at ClinStat is our highly qualified team, which has a broad scientific background and profound knowledge in clinical research. We work according to the current international quality standards and guidelines and have the competence and capability to integrate the client-specific needs. ClinStat is experienced to perform full services in close cooperation with our pre-selected CRO partner companies or alternatively with CROs appointed by our customers. We live our values to support our customers’ business. Our goal is to achieve long-lasting co-operation for mutual benefits of our clients and our employees. Our employees, serving with a scientific background and experience are the keystones for adding high value to our customers goals. We commit to quality at the highest level to obtain correct and validated results. ClinStat is committed to the integrity of data based on traceable sources. We contribute to your success, as we bring our expertise and experience in your projects. Our personnel is the heart of our strategic development, therefore we create conditions for the individual men and women of ClinStat to reach their full potential. Our employees have an academic background and work according to state-of-the-art methodology in clinical research. Regular training is being provided to all employees in internal and external training courses to obtain current and advanced scientific advice. We provide transparent and traceable results according to the national and international guidelines and requirements. We generate our reports in a reproducible and understandable manner. We take responsibility for our work which is based on mutual respect, fairness and honesty. Our vision is to continue providing state-of-the-art services and to improve continuously our service portfolio clinical research and statistics. 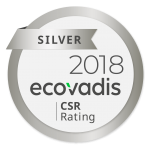 Our objective is to develop and maintain sustainable collaboration with our customers as their long-term service partner and CRO.